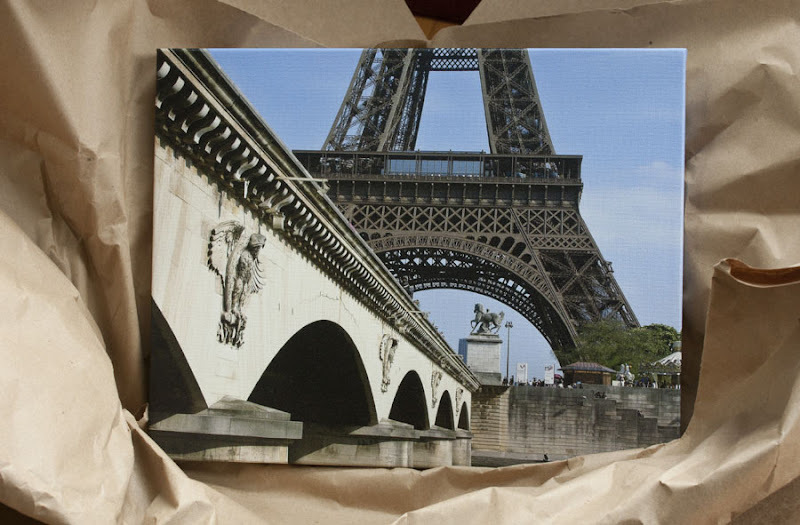 I received a copy of one of my photos to canvas today printed on high quality canvas. The results are stunning, as you can see. The colors are vibrant and the stretched canvas print just pops. You can visit them on their Facebook Page, and see some of the great deals they have going on over there. If you "like" them on Facebook, you will automatically receive 50% off of your next order, and free shipping as well. I read about this recently and "liked" them a few days ago. Now I need to come up with a worthy photo to try it with . . .
Gorgeous! and it must be a pride to have your own picture presented this way! Very cool. Great capture on the canvas, btw. Wow that looks incredible! I'll take a look over there. They had something really good to work with though.